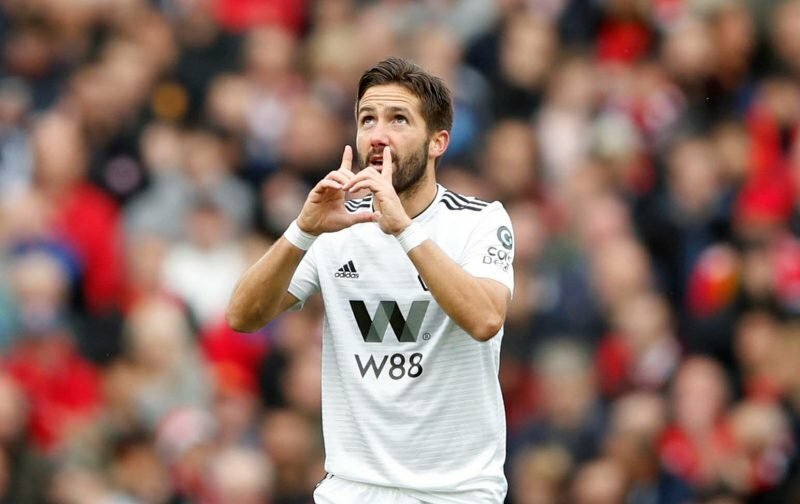 Wolverhampton Wanderers fans are quickly taking summer signing Joao Moutinho to their hearts and the Portuguese international’s performance at the weekend against Manchester United at Old Trafford has simply helped that process. The £5million capture from Monaco is proving to be an absolute snip at that price given what we’ve seen from him in so far and the 32-year-old only has six games to his name as he continues to adjust to a new club, new teammates and a new division, so it doesn’t take much of an educated guess to assume he’ll get even better in time. Proof of that might just be the fact he opened his club account at the weekend as he bagged our leveller against Jose Mourinho’s side to take us to a very creditable point in return for our efforts. £5m wouldn’t buy his finger. ???????? And they said he should be dropped after the Leicester game and he was no better than Dave Edwards ???? So much fun. Great goal! The man is going from strength to strength and the above comments on social media prove it from fans. He’ll have a dip and a bad day, all players do, but with the effort he’s putting in and his determination and commitment, when the bad spell comes he’s already banked plenty of goodwill to see him through and sometimes that’s all you can ask from a player.